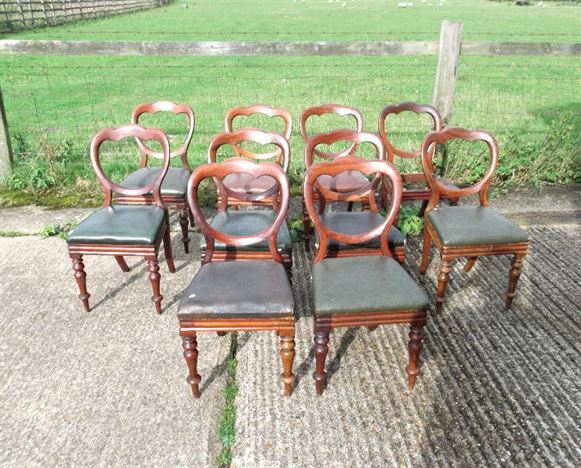 Sets Antique Dining Chairs - Genuine Set Victorian dining chairs oak 8, set 12 Regency dining chairs, sets 10 Georgian mahogany chairs. 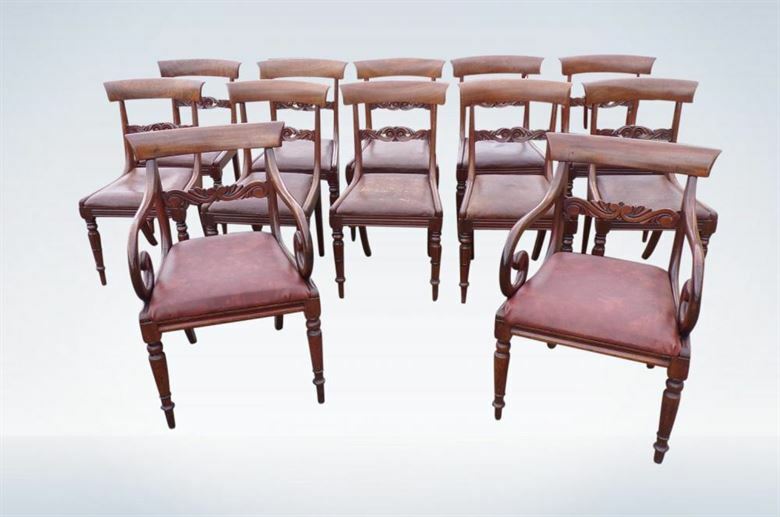 Large sets of antique dining chairs are quite rare but Elisabeth James, as the UK’s largest stockist of antique dining furniture, hold in stick some 3000 Victorian antique dining chairs, Georgian dining chairs and Regency dining chairs in sets of 8, 10, 12, 14, 16+ to associate with our stock of over 400 antique dining tables. 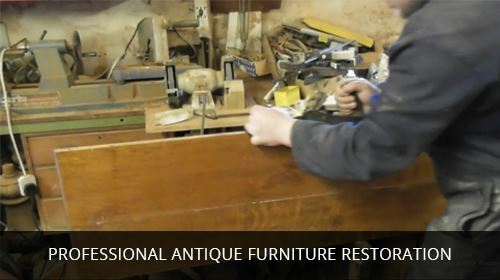 Uniquely we restore and polish chair sets to match your dining table and upholster in your fabric or leather choice - this costs at least £150 per chair but this bespoke service is included in our prices and offers hugely better value than the many online companies claiming to be professional antique dealers but actually simply selling unrestored chairs or cheaply made imported spray finished factory reproductions deceptively described as ‘style’. 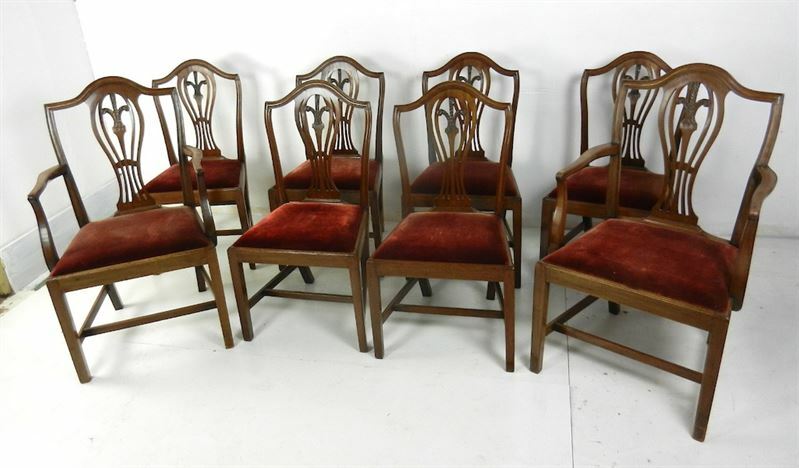 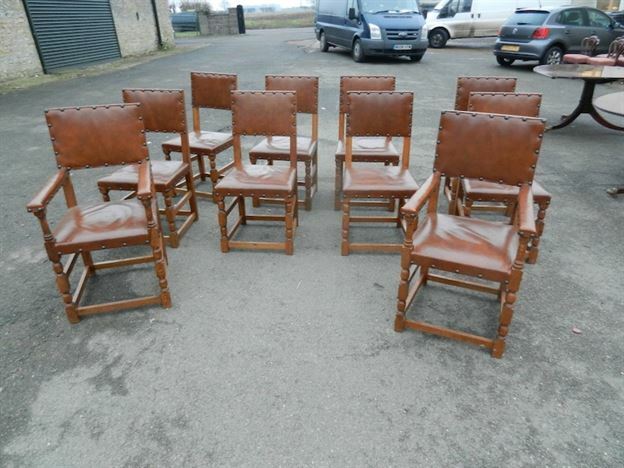 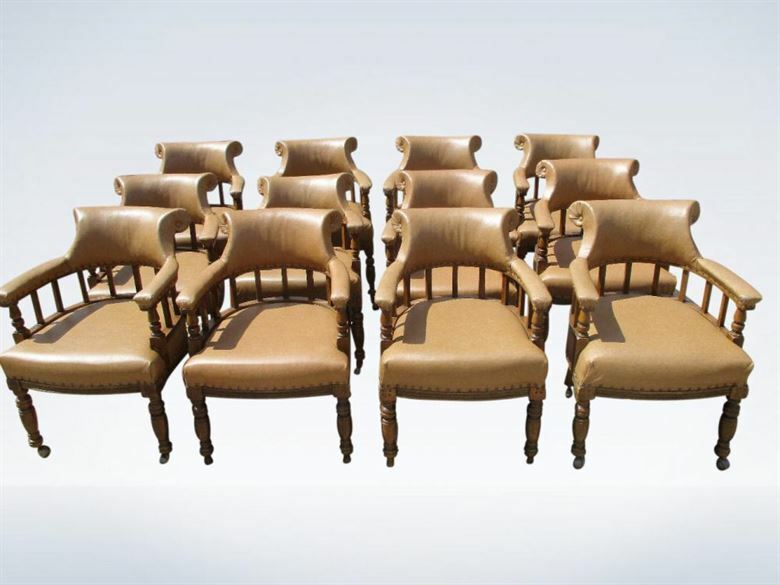 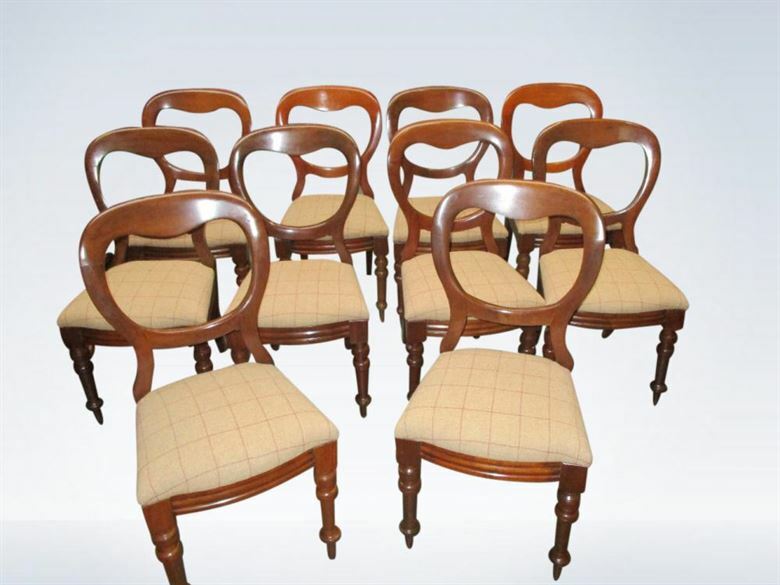 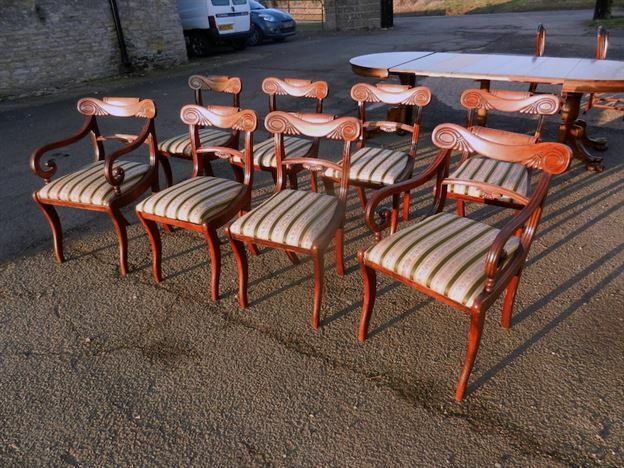 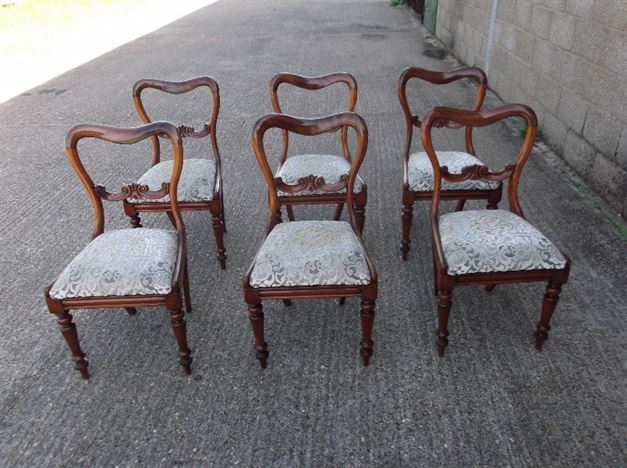 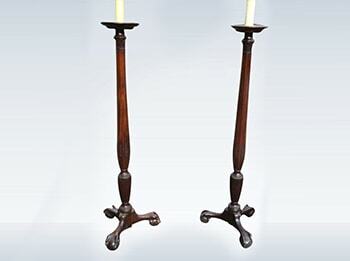 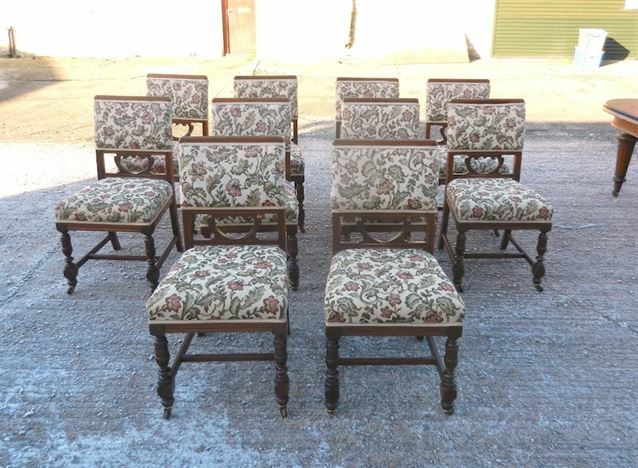 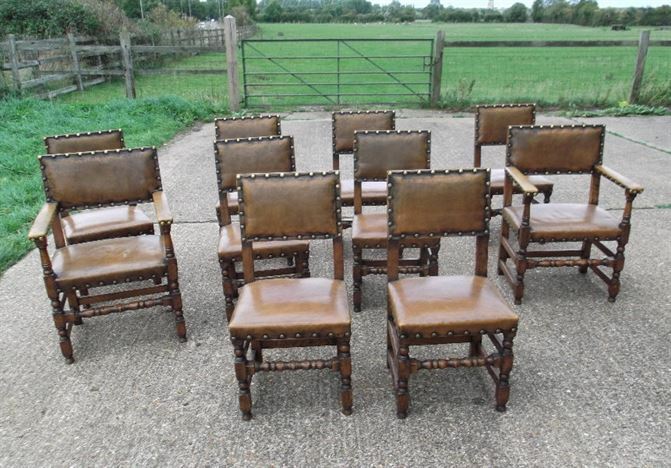 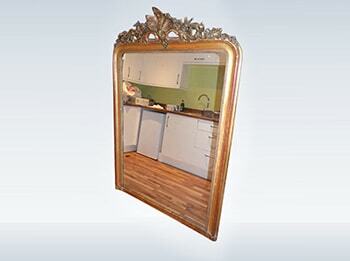 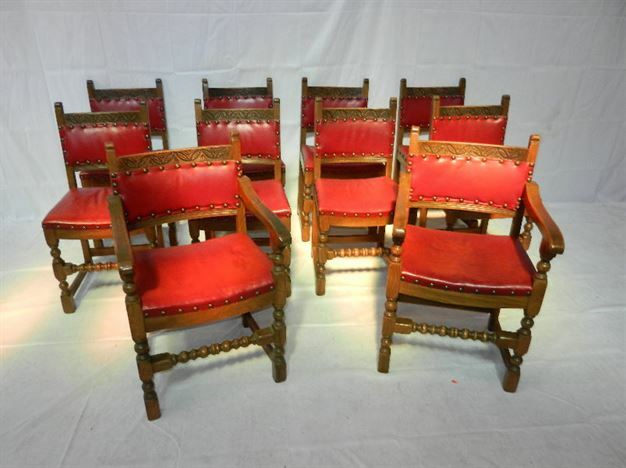 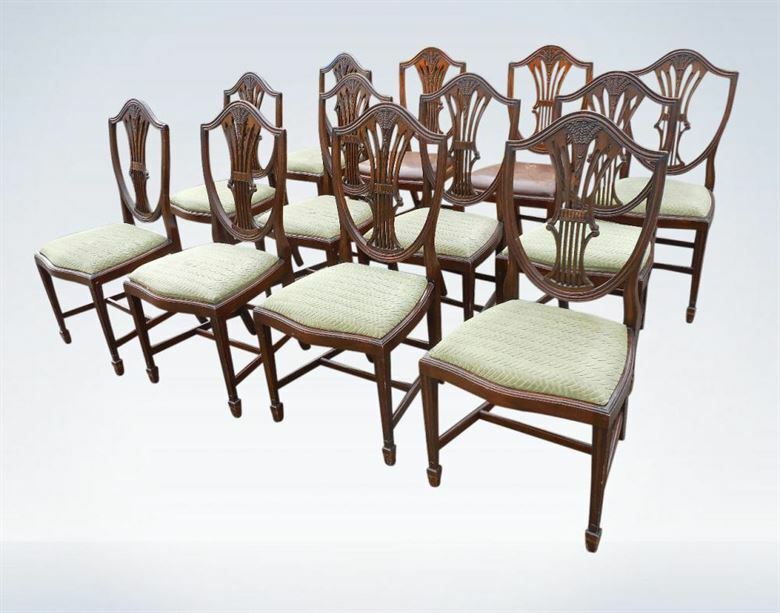 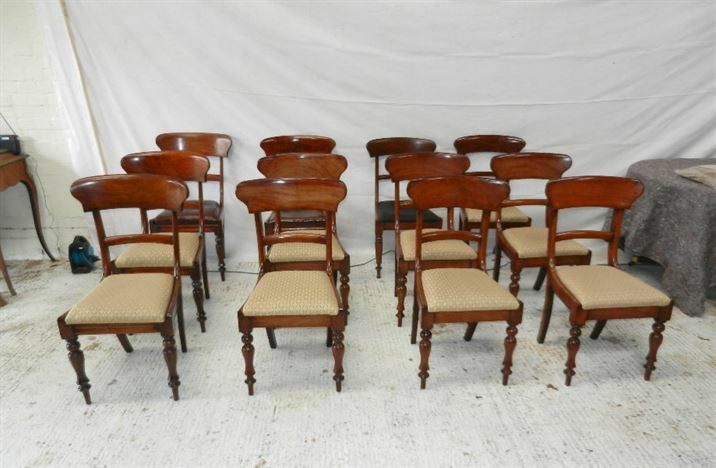 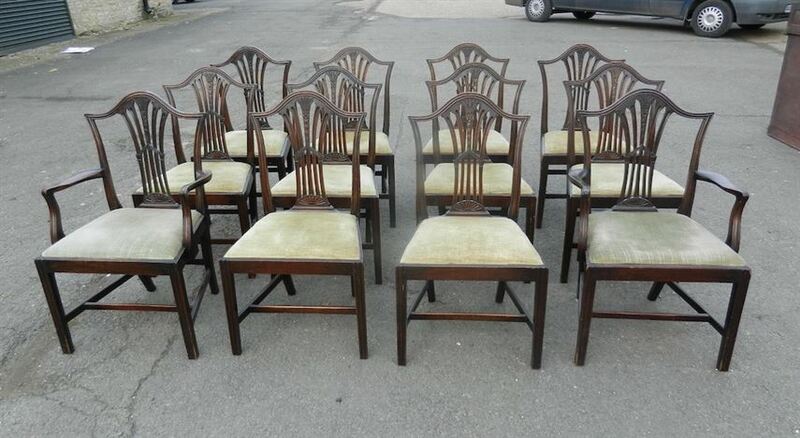 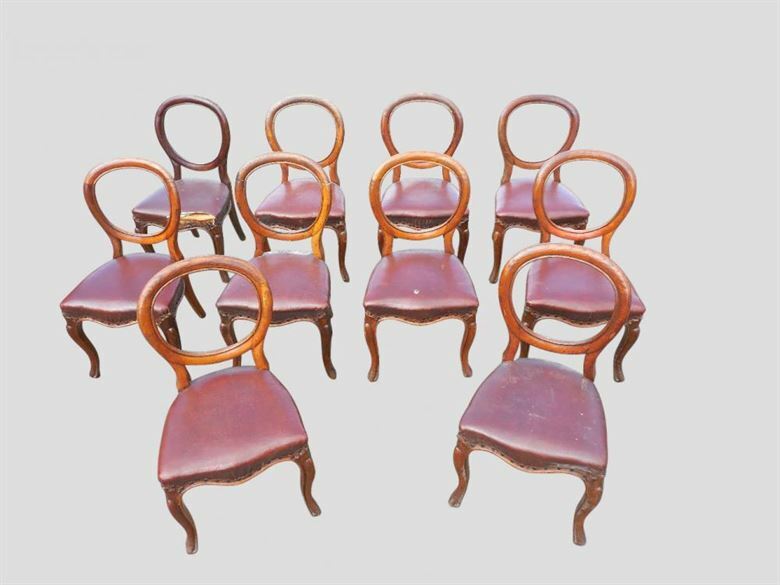 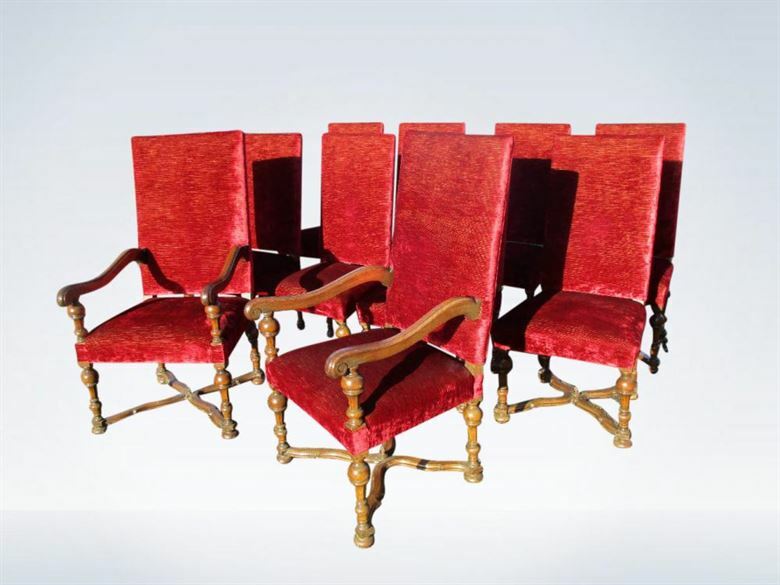 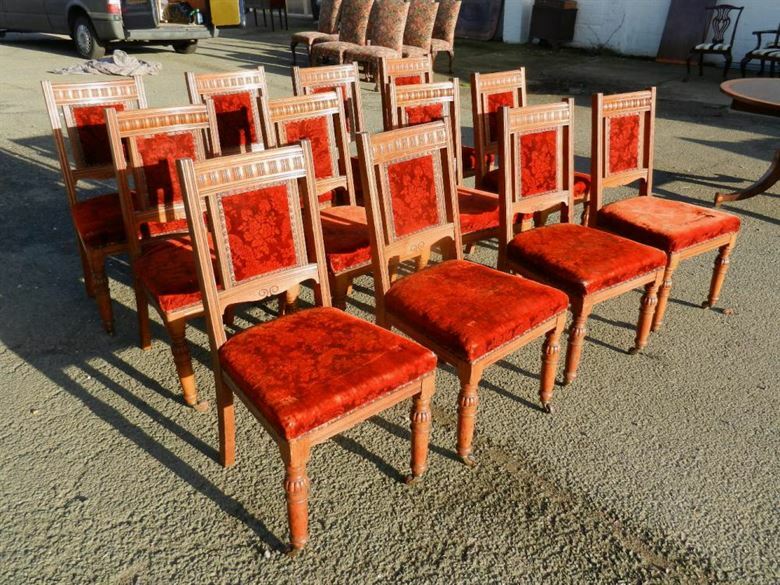 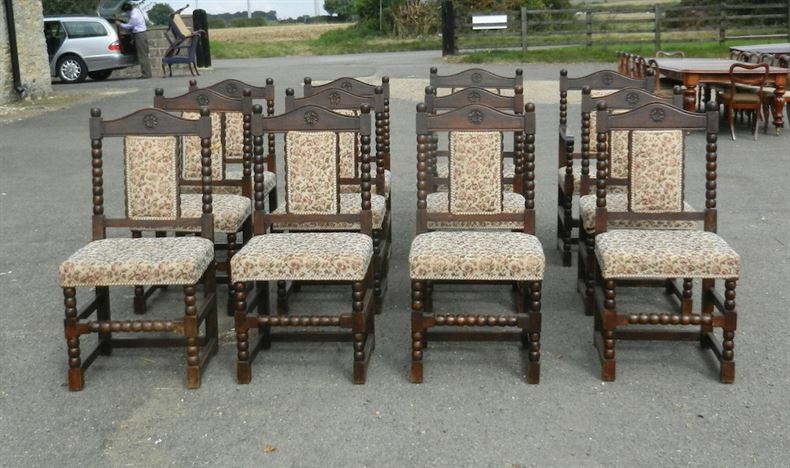 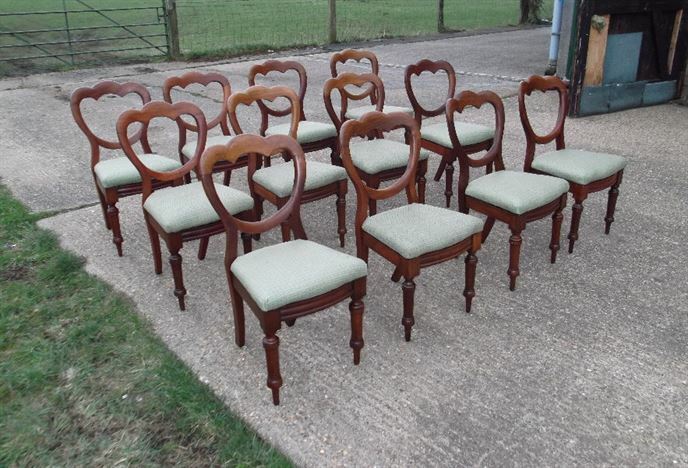 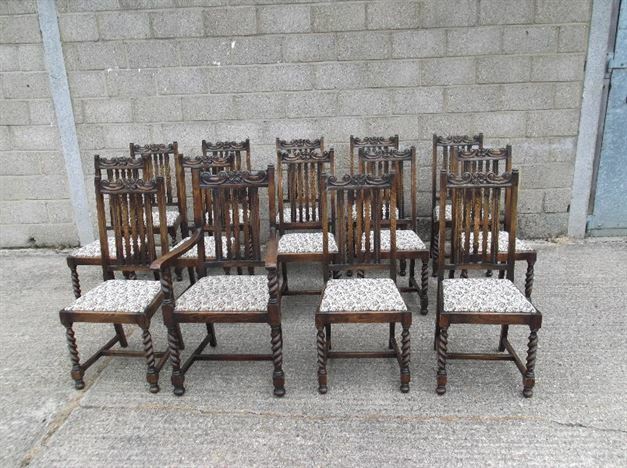 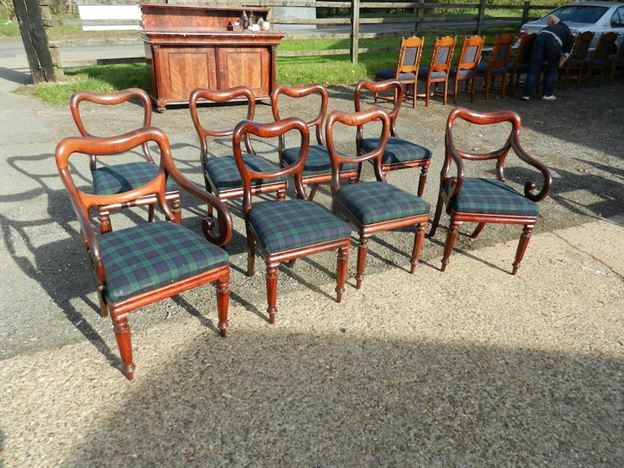 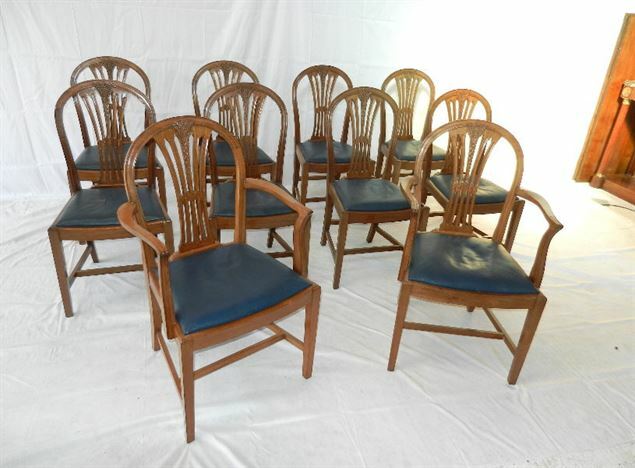 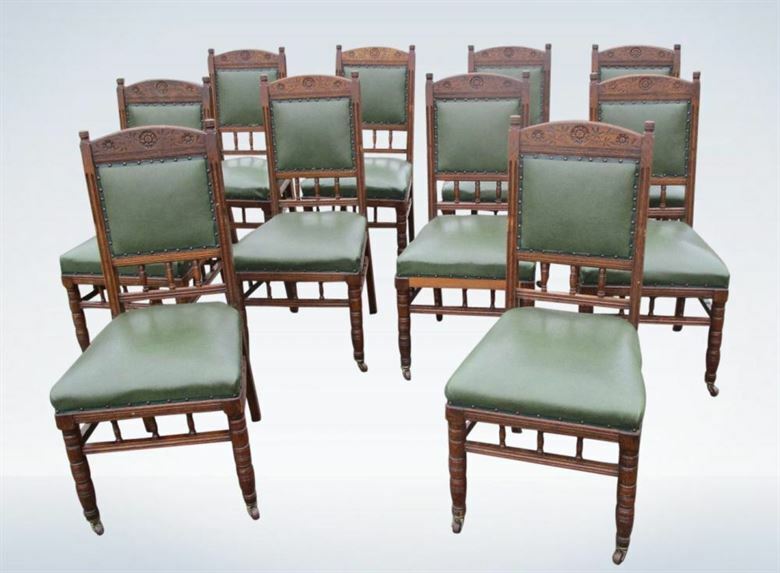 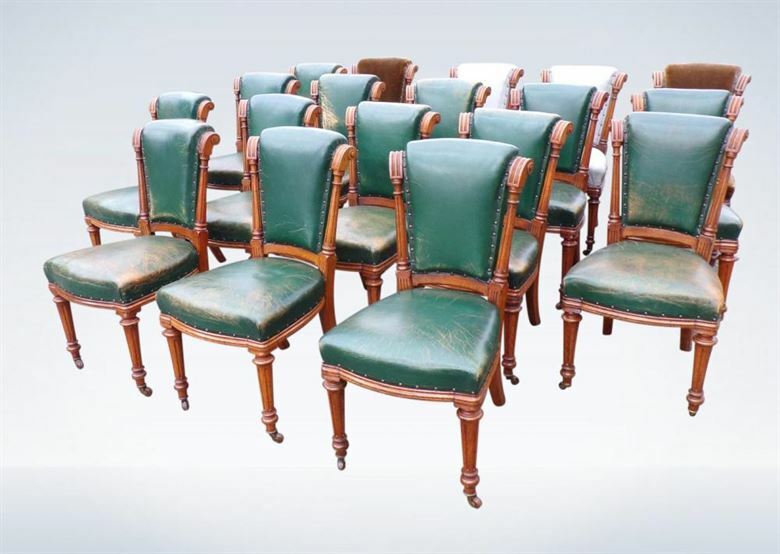 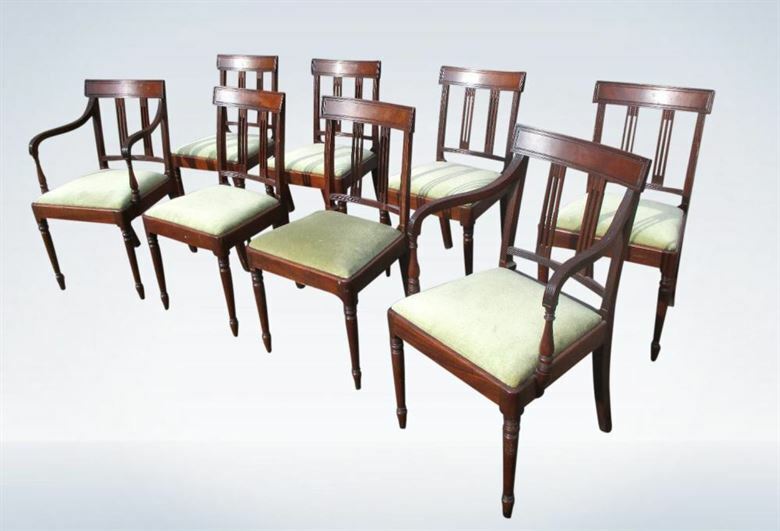 We hold an extensive stock of sets of antique dining chairs at our antique furniture warehouse 1 hour form London. 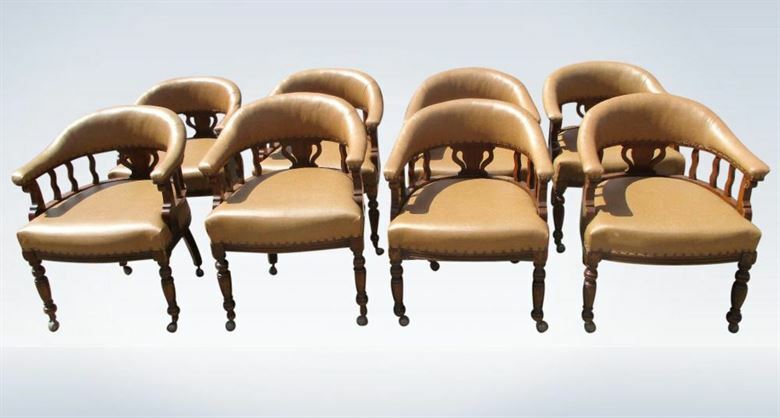 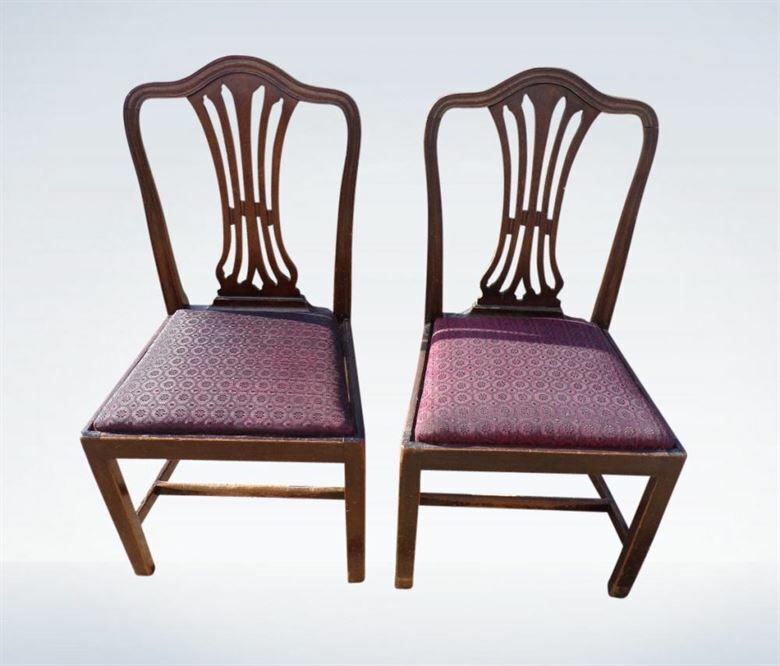 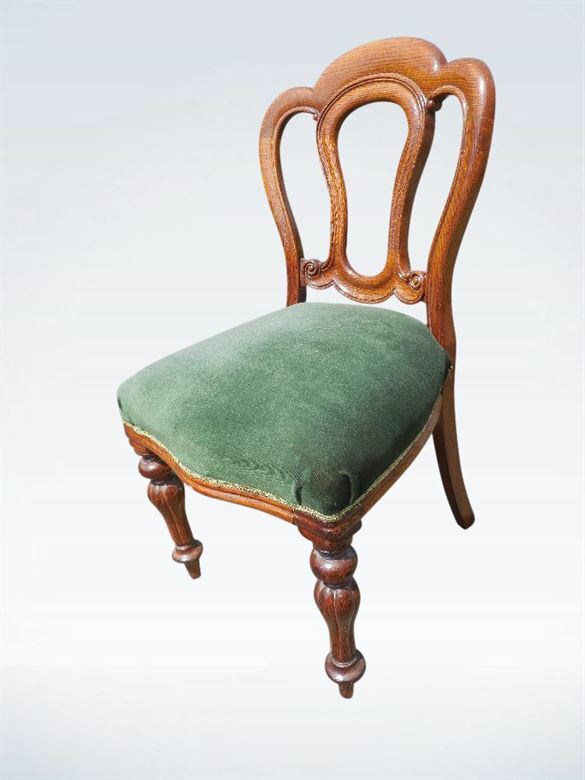 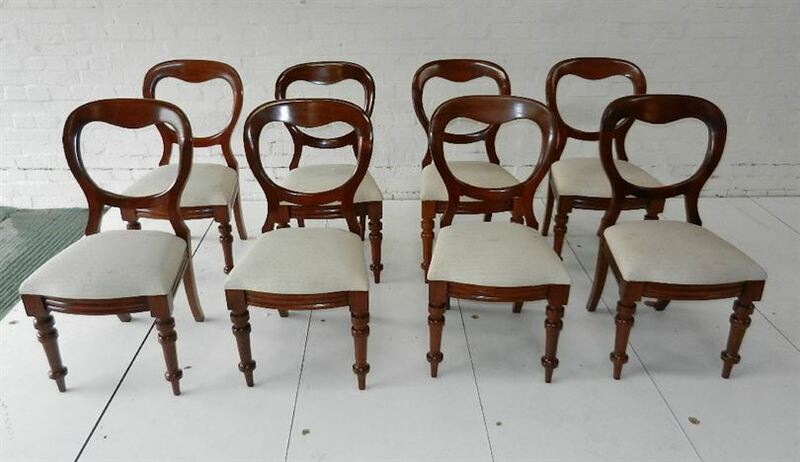 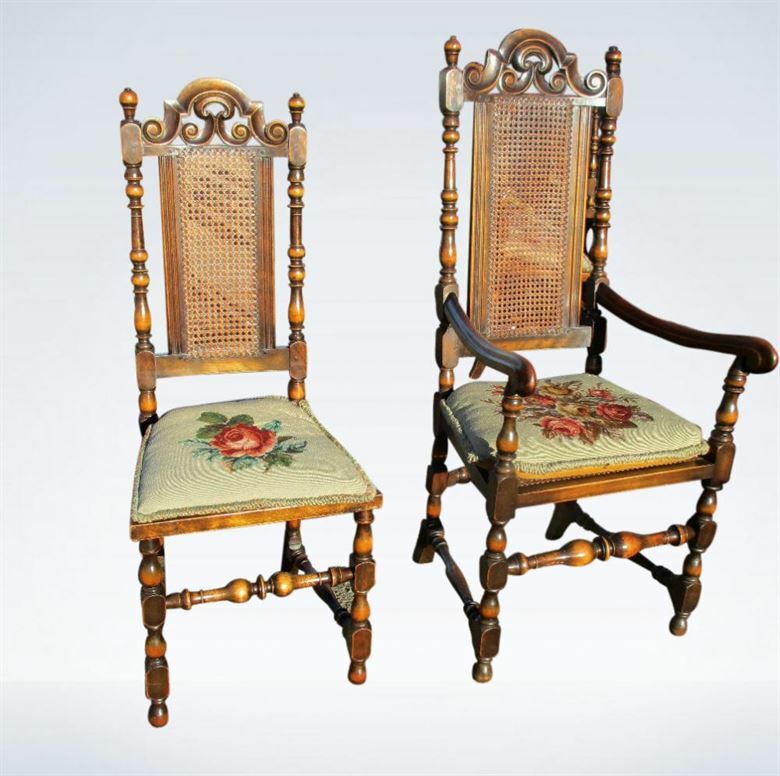 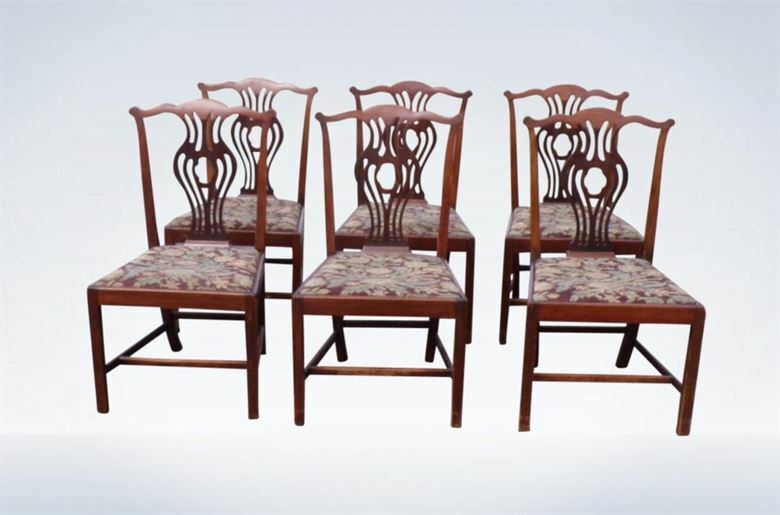 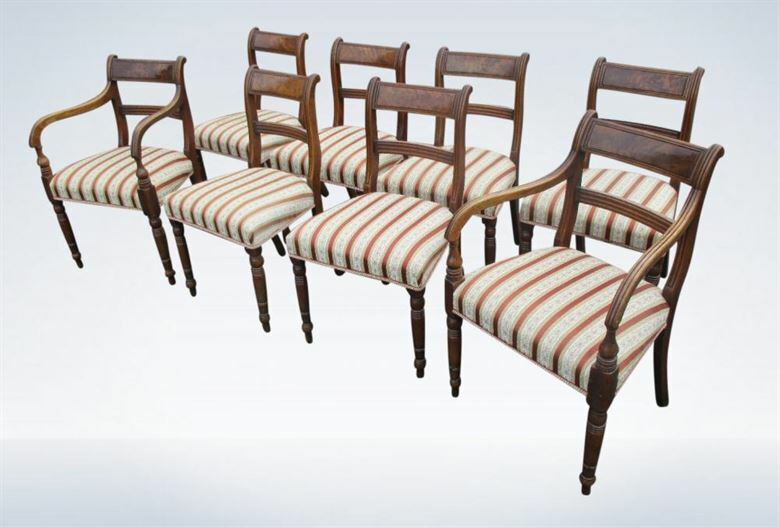 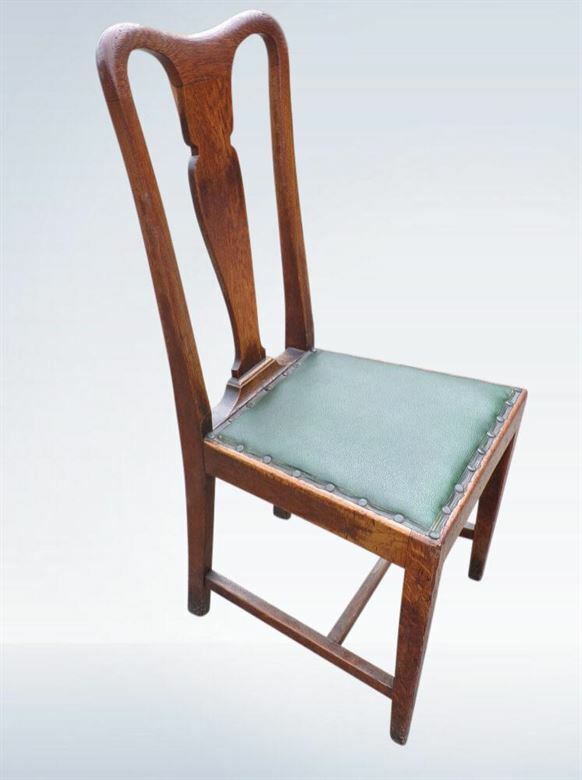 If you cannot see the perfect antique dining chairs on this page please use our Antique Search Service and we will gladly send you details of sets of antique dining chairs arriving in stock that match your requirements. 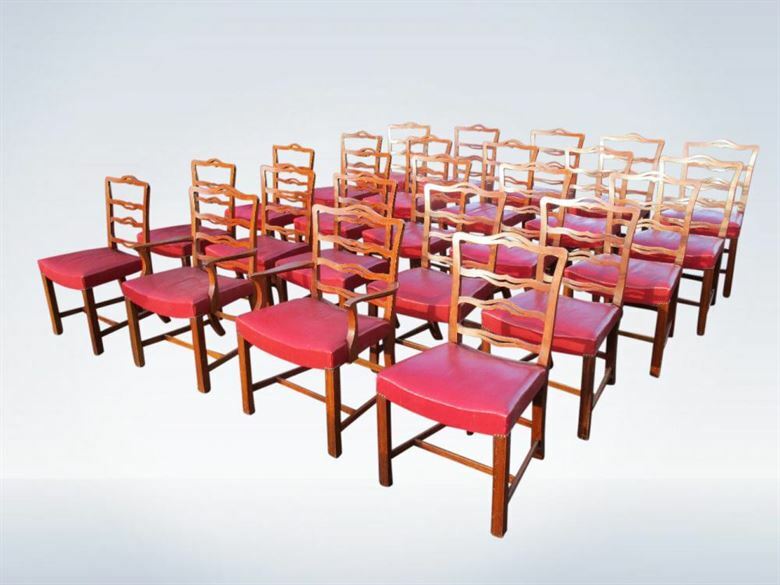 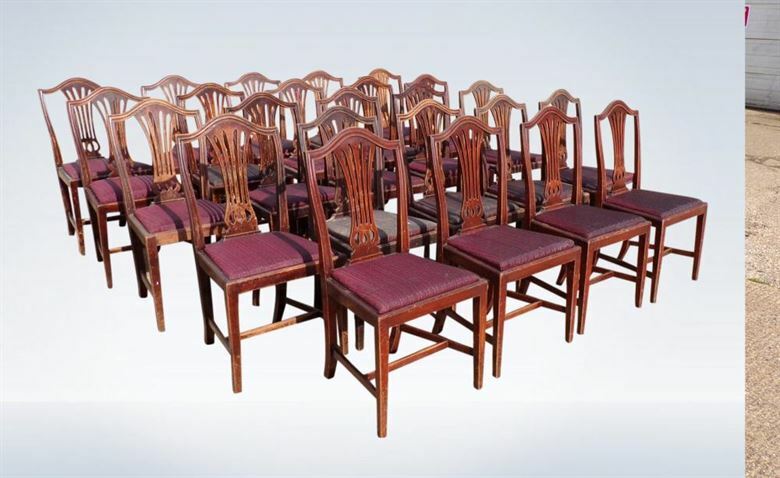 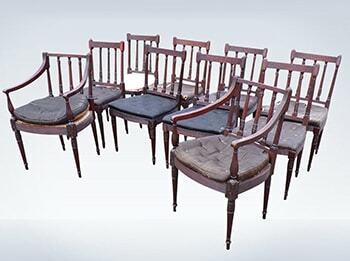 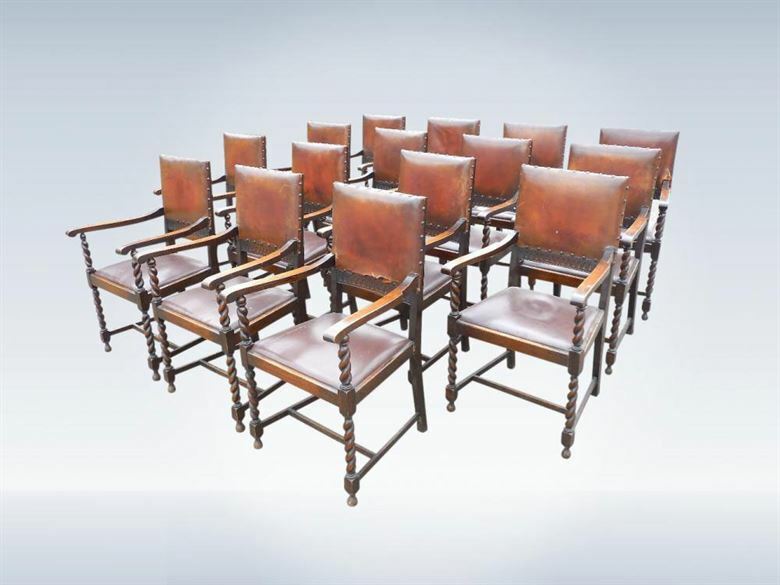 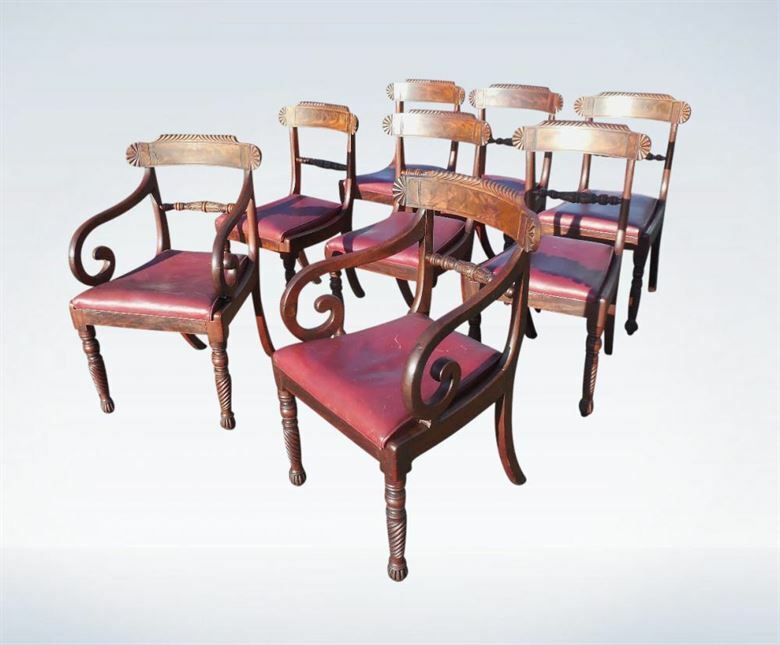 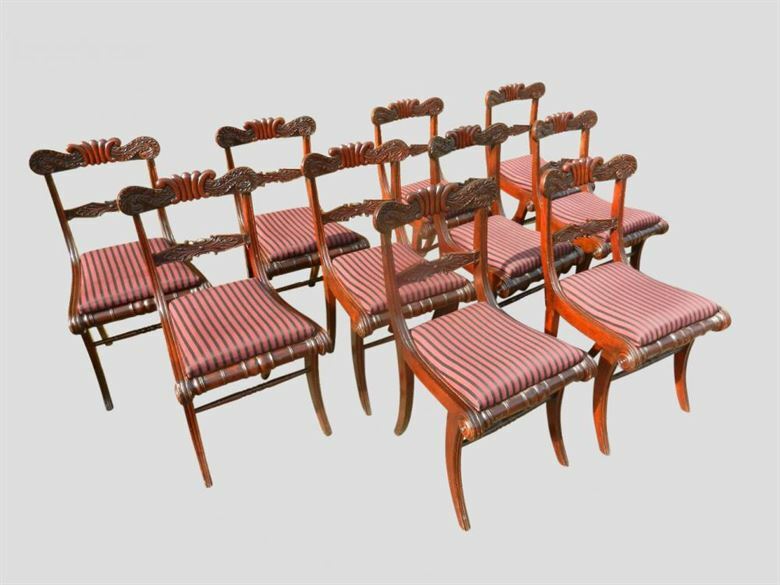 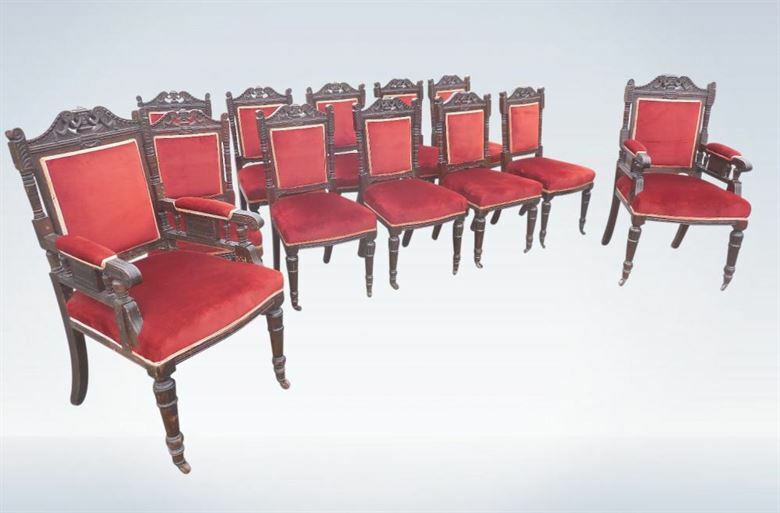 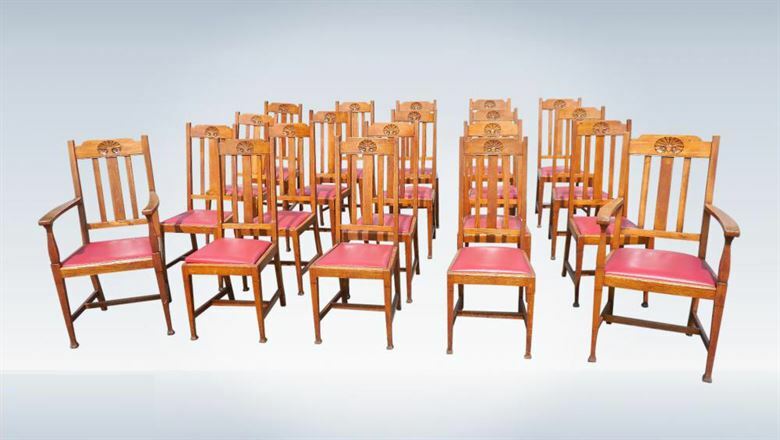 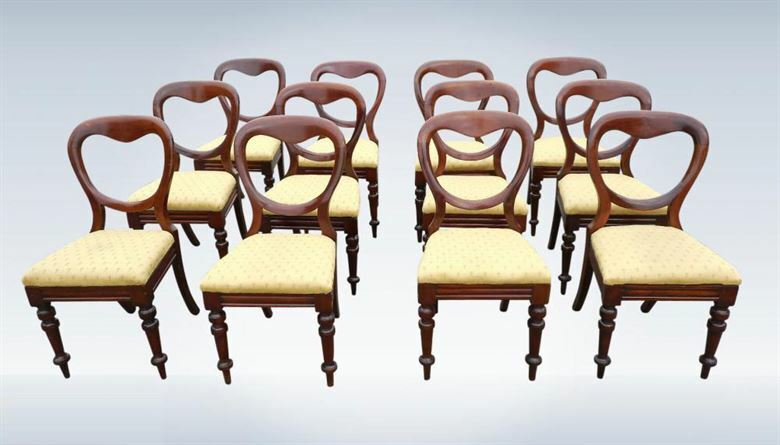 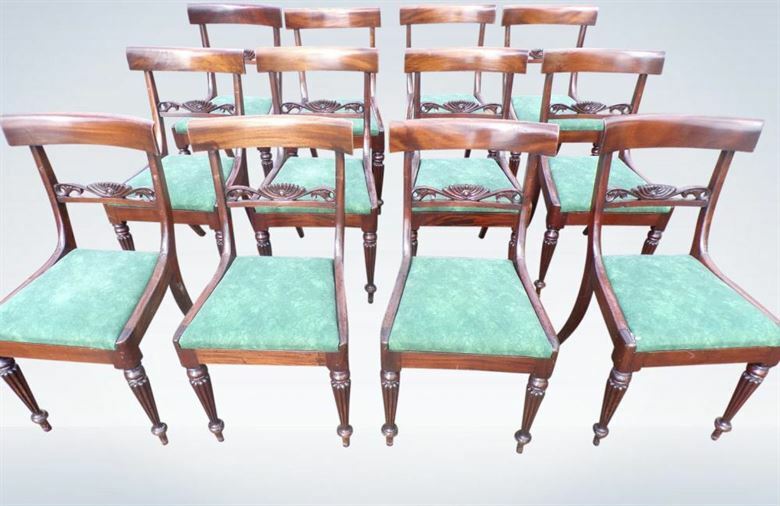 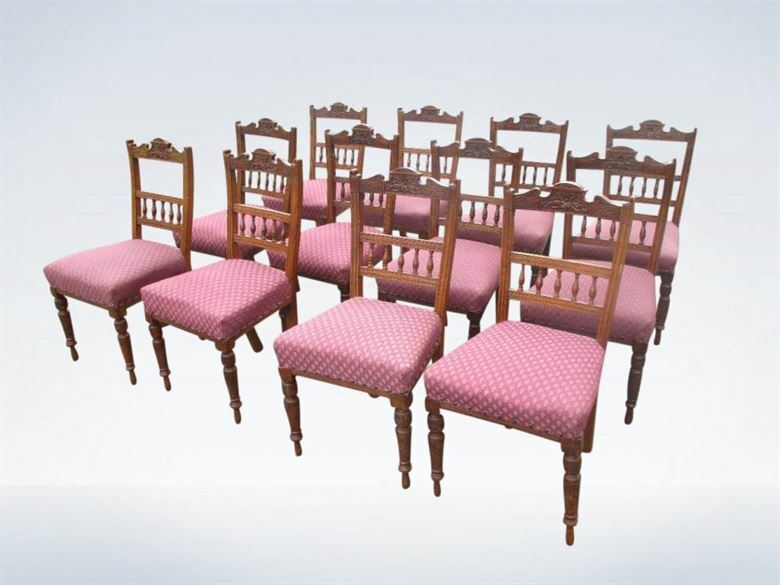 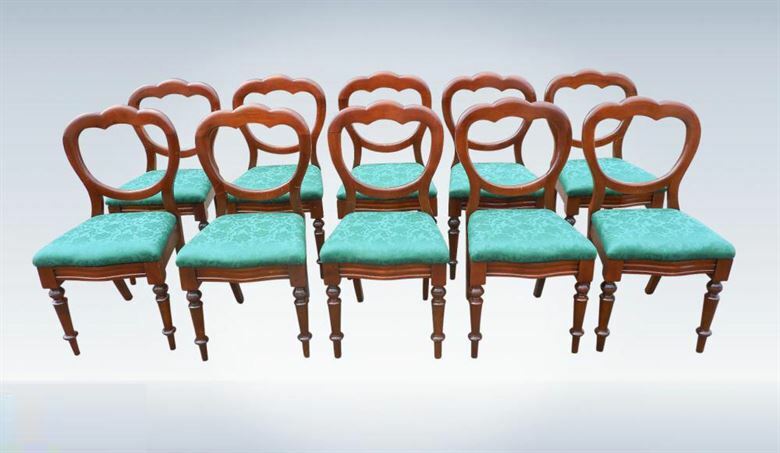 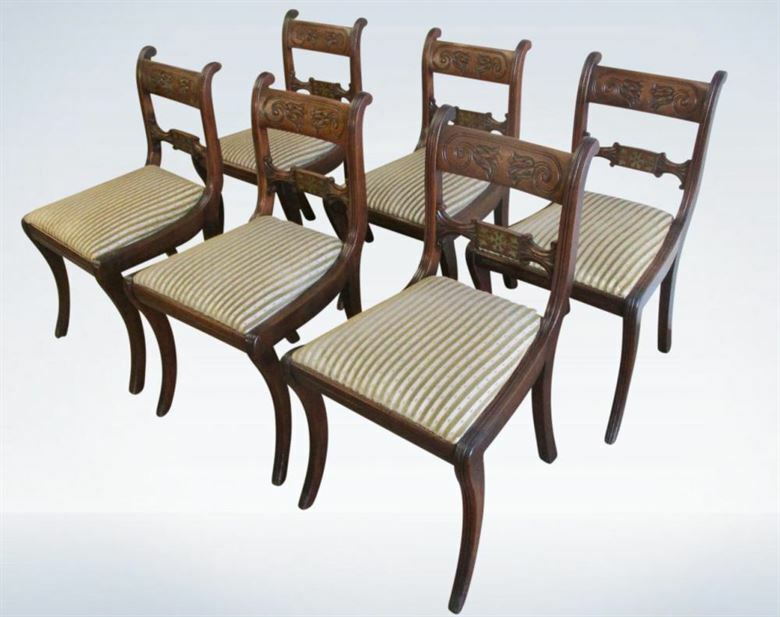 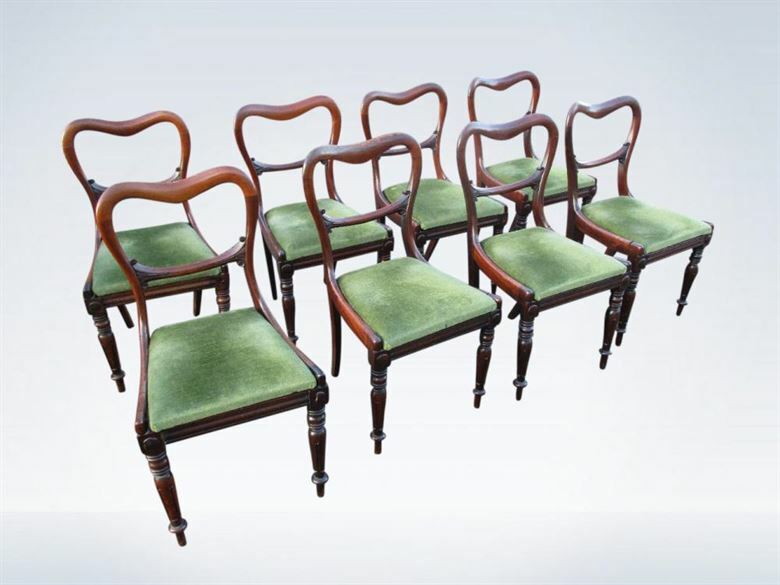 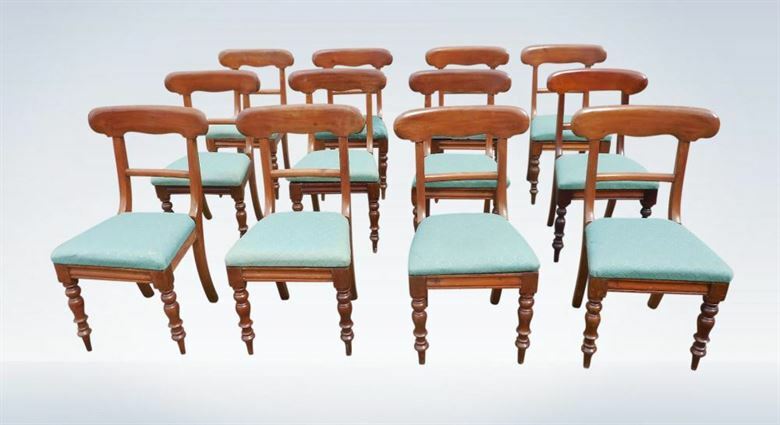 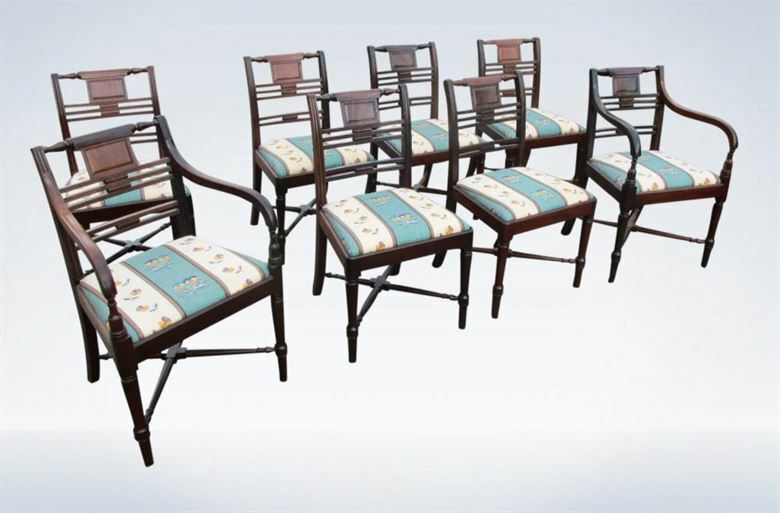 Or simply call us on 01604 862200 and we can send a PDF with all suitable sets of chairs from our stock of over 3000 antique chairs. 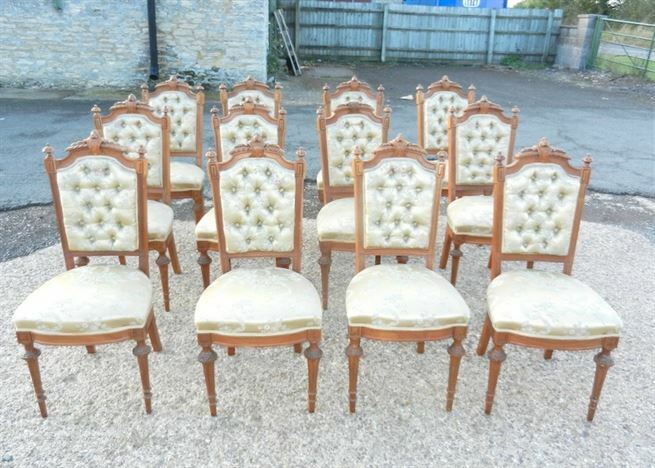 Our stock is constantly changing so if you have not found what you are looking for in the listings above please contact us as we regularly have in stock at anytime or could find you an antique settee, antique captains chair, antique smoking chair, antique pair of chairs, antique Windsor chair, antique set of chairs, antique wing back chair, antique yew chair, antique mahogany chairs, antique oak chairs, antique walnut chairs, antique balloon back chairs, antique Chippendale chairs, antique Hepplewhite chairs. 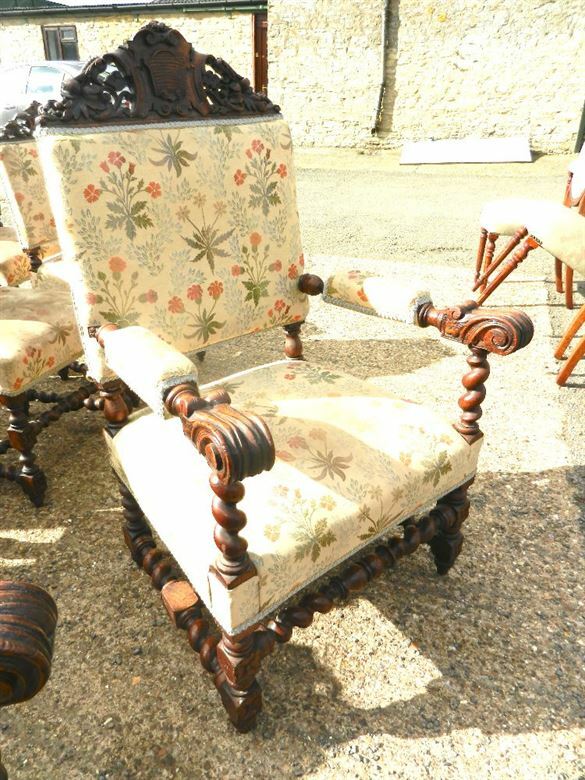 Antique arm chair, antique nursing chair, antique painted chair, antique French chair, antique set of eight chairs, antique set of twelve chairs, antique set of six chairs, antique button back chair, antique hall chairs, antique Wainscott chair, 17th Century chairs, 18th Century chairs, 19th Century chairs, etc. 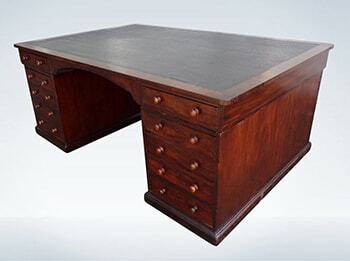 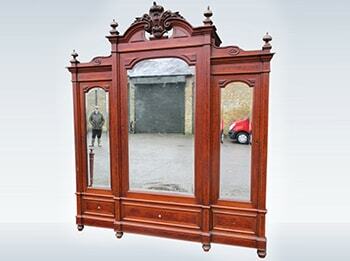 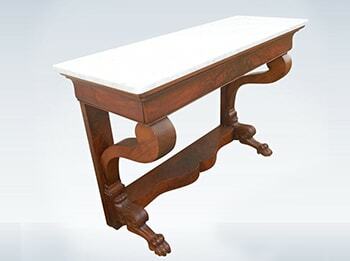 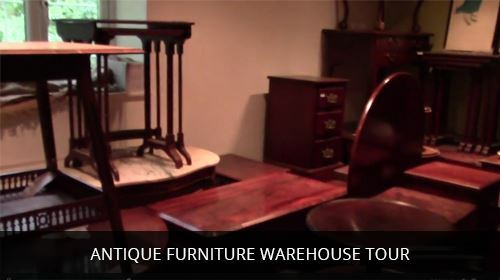 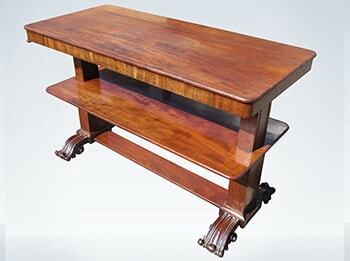 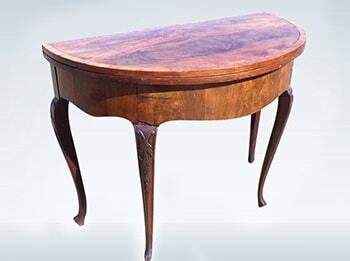 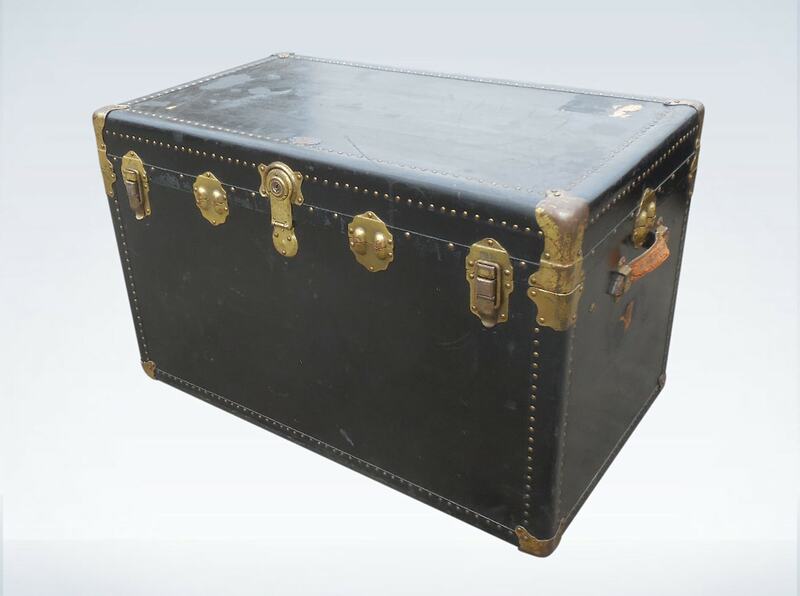 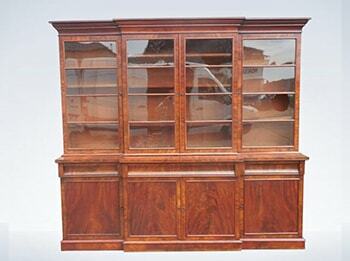 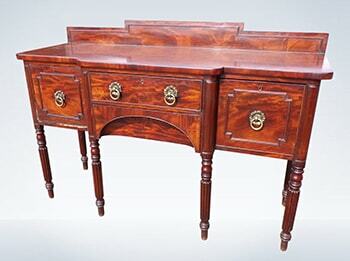 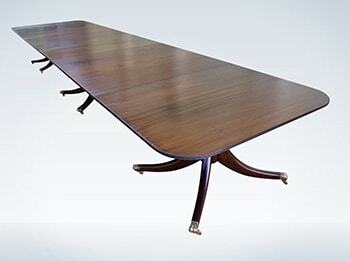 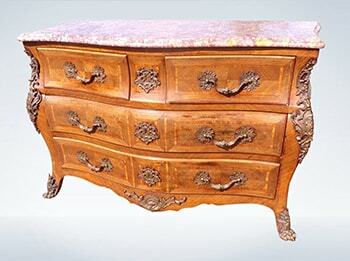 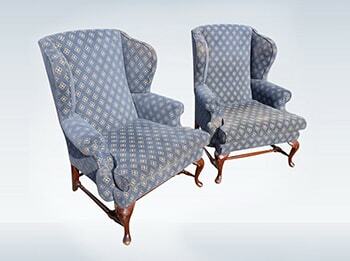 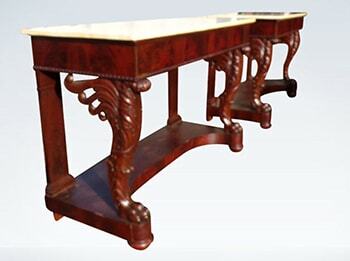 We regularly deliver antique furniture to London, antique furniture to Middlesex, antique furniture to Hertfordshire, antique furniture to Oxfordshire, antique furniture to Buckinghamshire, antique furniture to Bedfordshire, antique furniture to Cambridgeshire, antique furniture to Northamptonshire, antique furniture to Leicestershire, antique furniture to Warwickshire and beyond.